In a small bowl, whisk together the vinegar, mustard and salt and pepper to taste. Add the oil in a stream, whisking, and whisk the dressing until it is emulsified. 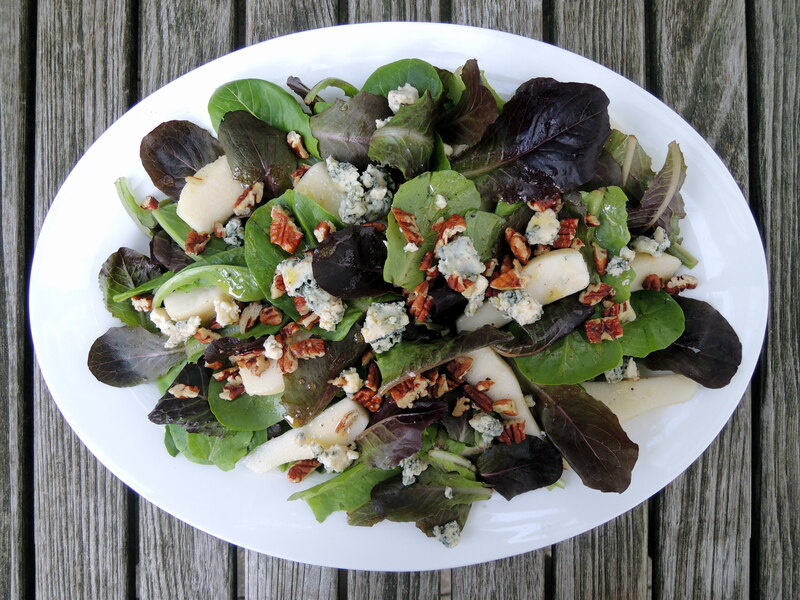 In a bowl, toss the lettuce with half the dressing and divide the salad among 4 plates. 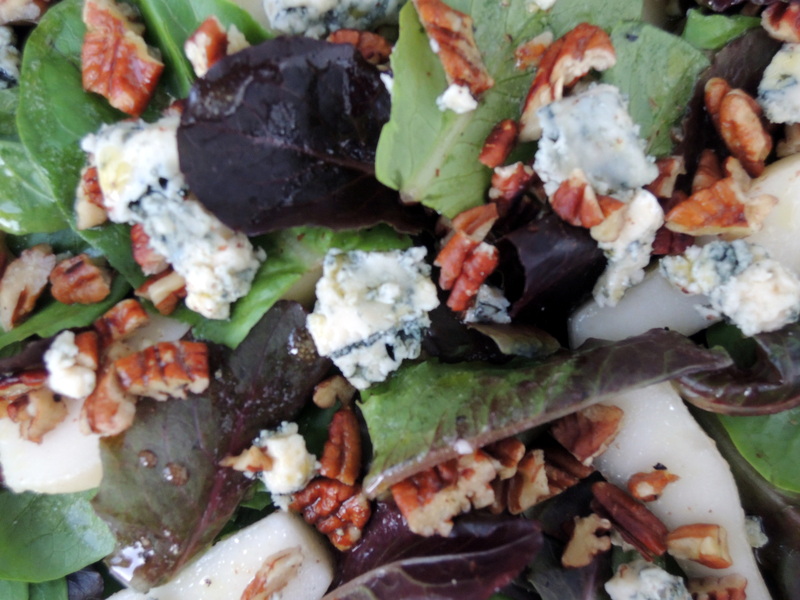 Arrange one fourth of the pear slices decoratively on each plate, divide the Stilton and the pecans among the salads and drizzle the remaining vinaigrette on top. Posted in Salad, VinagretteBookmark the permalink.